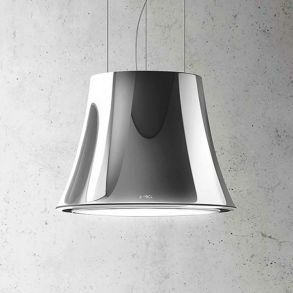 DIVE-SENSE Cooker Hoods are part of the new Elica Sense range of cooker hoods. A matching Elica Lien induction hob will inform this cooker hood about the number and power of zones that are on and also the presence of pots and pans. The Stream technology incorporates innovative sensors that recognise the quantity and composition of cooking vapours and will react in real time integrating the information received automatically from the hob, thus achieving optimum performance. The hood will then automatically continue running until the air quality reaches a level where it is no noner required and then it will switch itself off.